Hows does Google View Brackets? 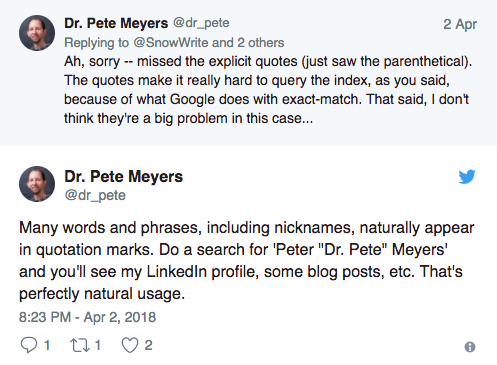 Is quoted or bracketed content ranked differently by Google? From these tweets we can gain an insight into not only how the top dogs at MOZ and Google choose to use emojis to communicate but also the fact that we appear to have a conclusive answer in the form of a thumbs up! 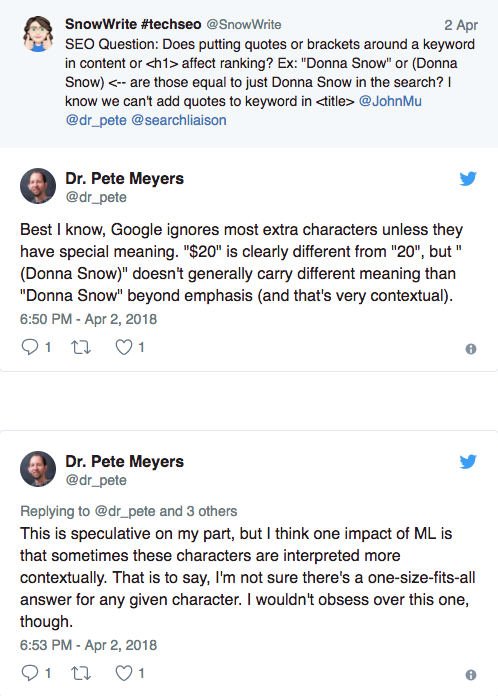 In short this twitter exchange appears to show that the use of brackets isn't treated differently by Google unless it changes he meaning of a sentence or words.